Lisa Mathews, of the kindie band Milkshake, was recently a guest DJ on the Hilltown Family Variety Show, an incredible online network that supports education through community engagement, where she curated a playlist centered around love and social consciousness. 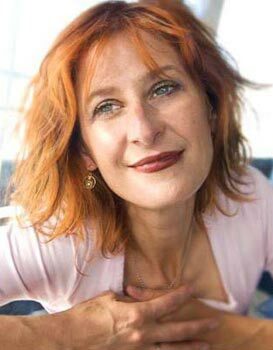 Lisa’s music pics featured kindie such as Brady Rymer, Secret Agent 23 Skidoo and Recess Monkey, as well as adult artists such as The Beatles, Adele, and Sly and the Family Stone. She even features a song written in 1930 from the movie The Moderns, which is one of Emily’s favorites in the bunch! Altogether, the podcast signifies that love is multi-faceted, and the way we give and receive it impacts how we relate to one another. I really enjoyed listening to Lisa and thought it would be great to hear more of her thoughts on the topic of love in light of the upcoming holiday. 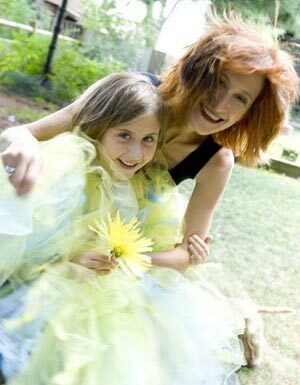 In today’s guest post, Lisa writes about how much she loves Valentine’s Day, creating love songs with her previous band Love Riot, and watching her teenage daughter experience love firsthand. Lisa’s thoughts really resonated with me as a mother and a music lover. I know that Emily will have her own experiences with love in the same way as Lisa’s daughter. But, as Lisa says below, “maybe she’ll write a song about it, and listen to other songs that will help her through.” And I plan to be there listening to the music with her. Milkshake will be performing a Valentine’s Spectacular show in Maryland with all kinds of fun activities and sweet treats. Plus, if you aren’t familiar with Milkshake’s music, I encourage you to listen to the links below, and check out the band’s music page. Lisa’s voice is bee-u-tee-ful! Details about the show which will benefit Arts On Stage, a nonprofit that brings arts performances into schools, can be found following the post. But perhaps what I love most of all are the love songs. They remind me that love itself is so multi-dimensional. Happy love songs, sad love songs, songs of longing, songs of leaving. Before Milkshake, Mikel and I fronted a band for adults called Love Riot and we wrote nothing but love songs. It was amazing to me how we never seemed to run out of ideas. Maybe it wasn’t so unlimited as the topics we’ve discovered writing songs for kids, but emotionally, there was probably more to our love songs. The songs reflected what I or my friends were going through, and perhaps being in love is more of an adult thing. I wrote “I Love You” as a lullaby for my daughter, but that’s certainly different from romantic love. Now, she’s a beautiful 14-year-old and I see hints of romantic pining. I don’t look forward to her first breakup, which could be a painful thing. But maybe she’ll write a song about it, and listen to other songs that will help her through. So how will Milkshake – the band that celebrates most holidays with a big show somewhere – celebrate Valentine’s Day when the majority of our songs deal with imagination and play and doing the right thing? Well, we did record “I Love You” and “Enemies” for our Great Day CD, which skews a bit older, listener-wise. And we added a Milkshake version of the classic “Tiptoe Thru the Tulips” on our latest Got a Minute CD. But that’s about it in the love song department. We’ll do all three for sure, tossing rose petals at our little friends. Moo will pass out chocolate kisses and candy hearts, and we’ll all be giving out unlimited hugs after the show. People can donate their unloved instruments to Music4More, who will find them loving homes at schools and communities. There will be face-painted hearts and cherubs for anyone who wants them, and our friends at Macaroni Kids will make paper valentines with the concert-goers. So while there might not be a lot of love songs, there will certainly be a lot of love. The concert benefits Arts On Stage, a non-profit that lovingly creates art performances for schools. Sounds like a great way to start my Valentine’s Day. After saying “I Love You” to my husband, daughter, cat, dog and life first, of course. Love + Joy: A Family Valentine with Lucy Kalantari & Jon Samson! Plus, a ukulele giveaway! Award winning children’s artist and music therapist, Jon Samson, has teamed up with the dazzling Lucy Kalantari to deliver a rare and enchanting musical performance for families at ShapeShifter Lab in Brooklyn, NY, this Sunday, February 15th at 11:00 am. Lucy will be performing with her full lineup of drums, upright bass and clarinet. While you are being charmed by the music, you can enjoy hot cocoa, valentine’s treats and a chance to win an autographed ukulele! Want to hear how they sound? Listen through the Bandcamp widgets below. Make sure to read on for ticket info and show information. The Grammy’s will be here before we know it! In anticipation of this event, here is a playlist featuring the 2015 Grammy Nominees for Best Children’s Album thanks to Sugar Mountain PR. Get to know the nominees through the Artist’s links below. 1 Brady Rymer — Just Say Hi! 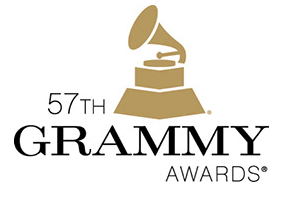 NOTE: There will be a special benefit concert featuring these nominees on February 7, 2015 at 10:30am in Hollywood, CA. Check out this link for more information and tickets.Proceeds from the event will go to Little Kids Rock, a nonprofit organization that provides under-served public school children with free music classes and new instruments. Tricycle Music Fest is chugging along nicely and has proven to be pretty awesome thus far. This weekend The Hipwaders, another beloved Bay Area band, will be joining this year’s exciting Kindie lineup. This energetic trio has acquired quite a name for themselves in the Kindie music scene with their catchy power pop that speaks from a kids perspective. They take their music seriously and have created a series of videos that also prove their dedication to providing a wholly entertaining experience for audience members of all ages. I recently had a chance to catch up with the lead singer, Tito Uquillas, who shared what inspired him to write his first kids’ song and some thoughts on the importance of making videos. You can enjoy a series of Hipwaders’ videos below, including the video for the song that inspired it all. There are some spectacular family events happening throughout the Bay Area this weekend. I wish I could attend them all! If you are in the Bay Area, rest assured that there is no shortage of movement, energy and creativity. So polish up those dancing shoes and consider your weekend planned! 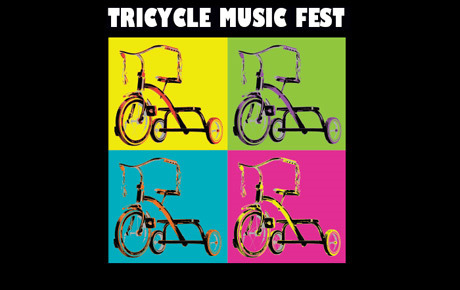 1) Tricycle Music Fest! Coined as the Bay Area’s biggest little music fest on the west. Taking place every weekend in September, October and early November, the 5th annual Tricycle Music Fest will peddle its way through 28 libraries for a total of 29 FREE concerts featuring 9 award-winning performers (full schedule here). Think indie music– family style– and libraries and you have the essence of Tricycle Music Fest. Last week was a huge success with Seattle kid rockers, The Not-Its!. This weekend features San Francisco, indie pop darlings, The Corner Laughers. What better way to capture the delight of a Bay Area music festival than with a band that sings about their passion for living in San Francisco. With lyrics like, “My heart’s in San Francisco/ The city by the bay,” San Fran’s, The Corner Laughers, bring sweet, dreamy vocals with a bit of a sparkle and a jangle. There’s a hint of Karen Carpenter in there, too. Noone puts baby in the corner with this group! In fact, get ready for baby to be up there dancing and laughing right along with the rest of the crowd. Charity and the Jam Band will be playing the first-ever Saturday in the Park McLaren Festival (performing in the Jerry Garcia Amphitheater) produced by Friends of the AMP. Join them for a free 2-hour rock n’roll show in this beautiful and under-appreciated SF park. Bring a picnic and get ready to be a part of the show as Charity and her lead their audience through each song filled with movements and lots of energy. 3) Yerba Buena Family Day – Downtown San Francisco’s biggest free family block party is back for its sixth year! Yerba Buena Family Day is a non-stop day of free indoor/outdoor family fun with free admission to local museums (SF Moma, Contemporary Jewish Museum, MOAD – Museum of the African Diaspora, Children’s Creativity Museum and the Yerba Buena Gardens Festival). These events are open for all ages and will have hands-on art making activities for kids. Visitors get in FREE to participating institutions. Alphabet Rockers will be bringing a high energy, movement intensive show filled with lots of dancing set to hip hop beats. Join them as they’ll have a very special show featuring Kaitlin + Tommy, DJ Wonway Posibul, and worldclass breakdancers Shinobi Jaxx (Mix’d Ingrdnts) and Brandon “Knowbody”. Dust off your old school dance moves and get ready to groove! Story Pirates is a nationally respected education and media organization founded in 2003. They are made up of teachers, actors and comedians who perform skits based on stories written by children. Their shows are filled with music and improv. There may even be some solicitations from the audience. If you don’t get a chance to catch the awesome Corner Laughers on Saturday, you can find a couple of them playing along with Alison Faith Levy at the Contemporary Jewish Museum on Sunday. Alison and her band will be performing 3 shows between 11am – 4p (more details here) accompanied by beautiful visual projections from the animated World of Wonder video by filmmaker Danny Plotnick. Redwood City is proud to offer a new music series this year especially for kids! The Hipwaders September 15, 2013 | 11:00 am – 1:00 pm with Andy Z emceeing and opening with a few tunes of his own! Join Andy Z and The Hipwaders as they close out Redwood City’s first Kids Rock Series. Andy Z is a children’s performer and singer/songwriter who combines music, movement, storytelling and character puppets to create an experience that keeps kids engaged and adults entertained. His songs and albums have won national awards and his performances earned rave reviews from educators, librarians, public figures, parents, and children alike. The Hipwaders – The Hipwaders know how to bring a fun show filled with original tunes. As the SF Bay Times noted, “In the same spirit of completely wonderful, whimsical and musically gifted treats for the young set is the Bay Area-based Hipwaders, pulling off some brilliantly fun and surprisingly hip songs extolling touchstones of childlike glee including art cars and dinosaurs.” The Hipwaders are a highly versatile group who also delight their audience with familiar tunes including the Sesame Street theme song and the Scooby Doo theme song. They come equipped with bubbles and inflatable guitars and microphones for your little rockstar. 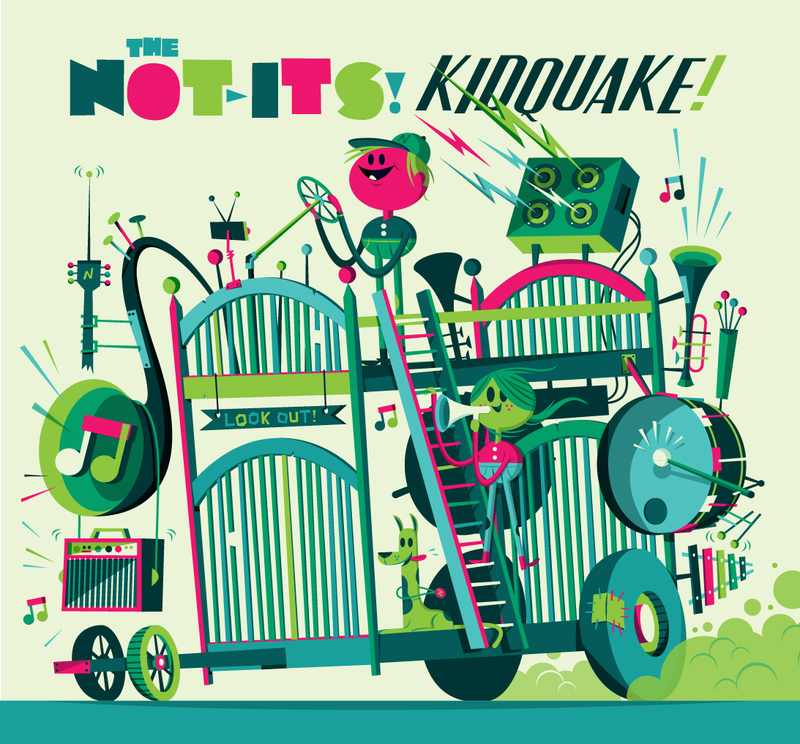 Seattle’s gnarliest kid rockers, The Not-Its!, will be bringing a series of high-octane shows to the Bay Area on September 7 and 8 and that weekend just can’t get here soon enough! However, I will settle for a new video for “Rock, Paper, Scissors,” from their 2013 release, KidQuake!. Like previous videos, The Not-Its! deliver an energetic performance that bursts out at you. I particularly love how some of the kids on each team are holding electric guitars while cheering for their respective players. It’s little touches of character like that that reinforce the band’s ability to have fun while making music that rocks! With lead singer Sarah Shannon at the helm, the crew gives this classic game of strategy a rock n’ roll revamp with a new dance called the Rock, Paper, Scissors dance. Wanna learn the moves? Check out the instructional video below, featuring Shannon, as she teaches you and your little rockers all the right moves. Now, put your best rock n’ roll face on and dance it out! You can view additional videos by The Not-It’s! here and here, as well as an album review of KidQuake! here.